Our week long Northern Lights trip is ideal for true Aurora hunters. 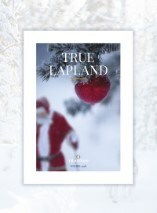 You will be located in Karesuando a remote village 160 miles north of the Arctic Circle, far away from the commercialism of mass-market winter resorts. Our guides will lead you to night time vantage points, offering optimum chances for witnessing the fabled Northern Lights. You will also have the opportunity to mush your own team of huskies and visit the nearby village of Hetta, home to the Sami museum which provides a fascinating insight into Sami culture. The small Sami museum gives a fascinating glimpse into the Sami way of life which has survived for 5000 years and is still evident in this part of the world. Your Aurora Hunter adventure starts with your flight into Enontekiö, Finland. Once you have arrived, relax in comfort as you make the 1 hour transfer to Karesuando, enjoying the magnificent views of fells and frozen lakes as you go. Now, on arriving at your hotel the real aim of your trip begins – to catch the elusive Aurora Borealis! During your stay you will have the chance to go in search of the lights in many ways. Drive out into the night on your own snowmobile, crossing a frozen lake to reach areas of little light pollution. Enjoy a guided forest trek to a wilderness viewpoint, where you can hope to see the Northern Lights dance above the village. You can even relax in your hotel until they decide to appear, taking just a few steps outside to enjoy the view. Your stay includes the following excursions, giving you the opportunity to enjoy all that the land of the Northern Lights has to offer. 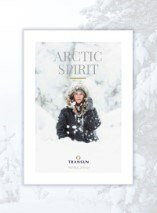 If you wish for even more from your time north of the circle, we can even organise an overnight stay in Tromso, the capital of the Arctic or perhaps a night under the stars in your very own igloo. See the optional excursions page for more information. An evening excursion when, with the night sky overhead, you head out through the wilderness to a vantage point in the hope of seeing the fabled and magical Northern Lights. Two adults share a snowmobile. You will be guided on a walk through the forest to a spectacular viewpoint, overlooking the border-village of Karesuando. From here, you may be lucky enough to witness the Northern Lights dancing above the village. 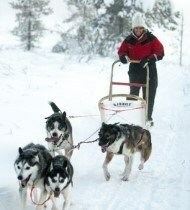 An unforgettable adventure into the wilderness, pulled by your own team of beautiful huskies. Two adults share a sled and dog team. Learn about herding and lassoing reindeer from reindeer farmers. Then venture into the wilderness on a reindeer sleigh safari. This guided snowshoe tour is a fun and simple introduction to an age-old means of traversing the Arctic winter terrain. Learn about the native people of Lapland - the Sami, with a visit to the Sami Museum situated in the picturesque town of Hetta. With opportunity to learn how the Sami lived on the in one of nature's most harsh environments and admire the beautiful coloured fabrics of the people. Situated on the Swedish side of Karesuando, the trip includes a brief tour of this traditional knife factory and an opportunity to see the importance of knives in everyday Sámi life. An evening excursion when, with the night sky overhead, you head out through the wilderness to a vantage point in search of the Northern Lights. Based on two adults sharing a snowmobile. No. Igloos and IceBars are reliant on a prolonged period of very specific weather conditions for the manufacture of the snow and the harvesting of the ice from the local river. Whilst we endeavour to create them each year, we are reliant on the appropriate weather conditions which can not be guaranteed. I have a dietary requirement: can this be catered for? It is recommended that passengers with special requests including nut-free, gluten-free, vegan, diabetic etc. carry supplies of foodstuffs. For any dietary requirements, you must advise us at the time of booking and we will pass this request on to the relevant supplier who will endeavour to fulfil your requirements. However, this cannot be guaranteed.